The Nanoindenation platform is a versatile system available in two configuations that allows you to build a device tailored to your specific requirements. You can incorporate various testing modules such as nano and microindentation, nano and microscratch or micro/nanoscratch module, with your choice of imaging systems choosing form video microscope, AFM or profilometer. 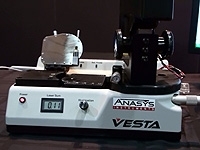 Kevin Kjoller, Vice President of Product Development at Anasys Instruments demonstrates how easy the VESTA localized thermal analysis system is to use. The REVETEST Xpress is definitely the cost effective solution dedicated to Industrial and Quality Control (QC) applications.This Xpress instrument provides measurement of adhesion, hardness and scratch resistance with a very user-friendly, intelligible interface. 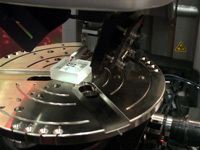 Agilent Technologies' unique scanning microwave microscopy (SMM) mode combines the comprehensive electrical measurement capabilities of a performance network analyzer (PNA) with the outstanding spatial resolution of an atomic force microscope (AFM). Rick Olds from Ambios Technology shows us through the Q-View. 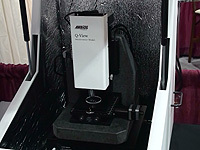 The Q-View which combines scanning probe microscopy (SPM) and interferometer which are interchangeable for taking surface roughness and topography measurements on small and larger areas. This flexible SPM platform can be modified in numerous ways to adapt to various sample types as well as to take different types of measurements. 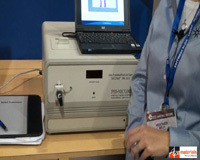 The TTX Table Top Nanoindentation Tester from CSM Instruments is a compamct desktop nanoindenation tester. 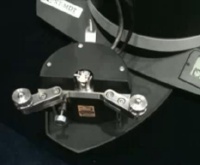 It is a simplified device suited to quality control in industrial applications and retails for under $100k. The Solver Next from NT-MDT is the first to offer a new concept in general purpose SPM. This new design offers "on-board expertise" opening the way for all user levels to acquire quality SPM images in a short amount of time. The Agilent 5600LS utilizes a fully addressable 200 mm x 200 mm stage and a new, low-noise AFM design. 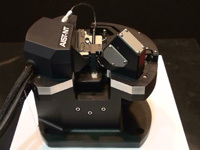 The programmable, motorized stage enables fast, accurate probe positioning for imaging and mapping large specimens at atomic-scale resolution using a state-of-the-art Agilent AFM. 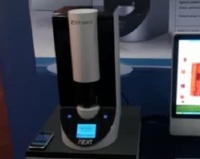 Ola Modinger from Nanosurf points out some of the key features of their easyScan2 FlexAFM that was released at the 2008 MRS Fall Meeting, where this interview was recorded. 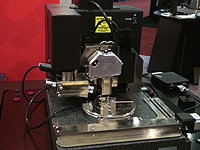 Nano Indenter G200 is the most advanced platform for exploring material properties at the nano and micro scales. 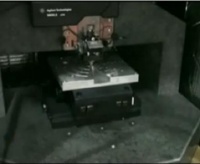 Its state of the art motion system speeds sample throughput without sacrificing accuracy. It also conforms to ISO 14577 - 1, 2 & 3; delivering confidence in test accuracy and repeatability. 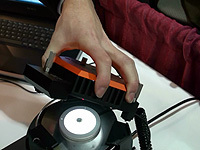 The Dektak 150 Surface Profilometer from Veeco uses stylus profilometry technology, which is the accepted standard for surface topography measurements. You've been expecting something genuinely new from the AFM/SPM industry, but for many years you've only seen tweaks to old technology. Now Asylum Research introduces the Cypher(TM) AFM, the first totally new small sample AFM/SPM in over a decade. More capability, more control, more functionality, more modularity, and more resolution - all with striking ease of use. 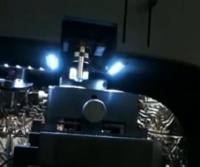 Ola Modinger from Nanosurf gives us and introduction to the their easyScan2 FlexAFM that was released at the 2008 MRS Fall Meeting, where this interview was recorded. We then get a demonstration of how easy this instrument is to operate. 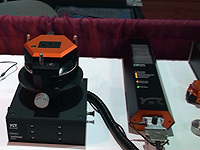 The Dimension V from Veeco combines an atomic force microscope (AFM) with a nanomechanical tester. This is achieved using a specifically designed probe. It is able to measure properties such as stiffness, adhesion and energy dissipation as well as provide the imaging capabilities of an AFM. 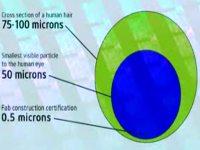 The Agilent Nicomp 380 ZLS can measuire both particle size and zeta potential. Particle size is determined by dynamic light scattering or DLS and trhe Nicomp 380 ZLS can measure particles from a few nanometers to microns. 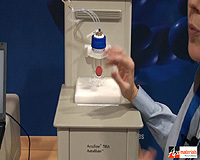 The Agilent Technologies 7020 Zetaprobe measures zeta potential of suspensions. 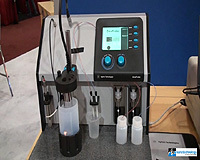 It can cater for samples with high solids loadings, which can eliminate the need for diluting samples.